If you happen to be near Statue of Confucius, you can visit this restaurant. 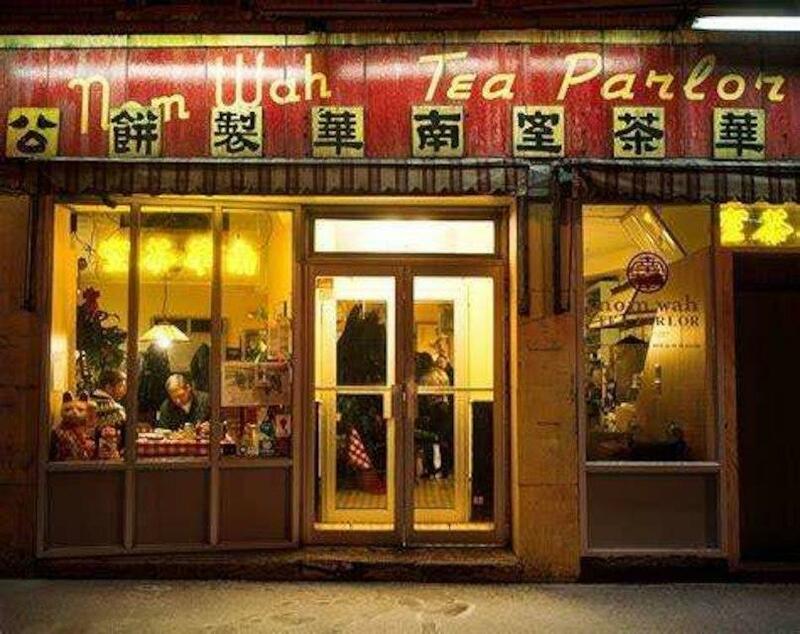 Dishes of Chinese cuisine can be ordered at Nom Wah Tea Parlor. 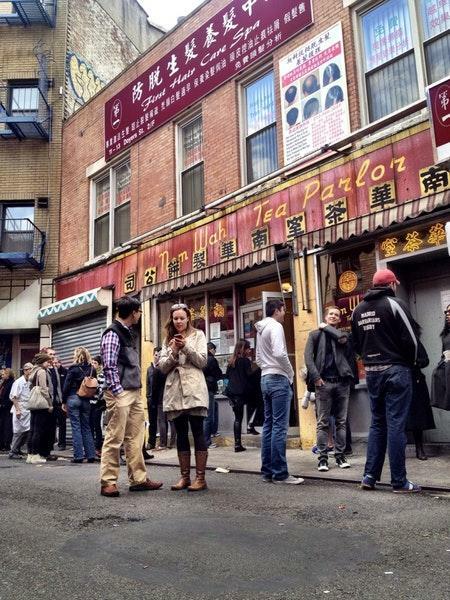 This place may please you with tasty Dim sum, shrimp dumplings and shrimp soup. Do not go away without trying good crepes, almond cookies and doughnuts. Food delivery is an important advantage of this spot. Delicious beer, cordial or ale are the best drinks of this restaurant. Great jasmine tea, espresso or Chinese tea will make your meal even more delicious and you'll certainly come back. Many reviewers have noticed that the staff is accommodating at this place. 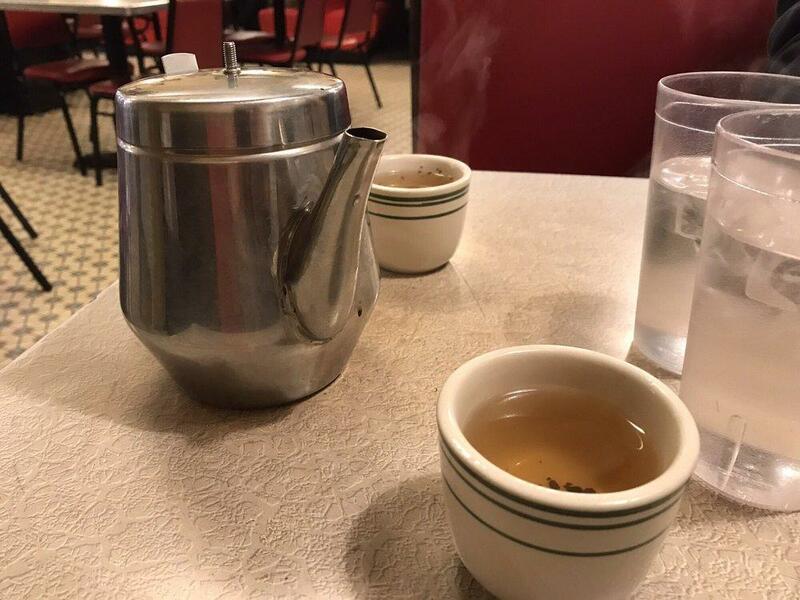 The terrific service demonstrates a high level of quality at Nom Wah Tea Parlor. Prices are found attractive here. You will surely be of high opinion about the nice decor at this place. 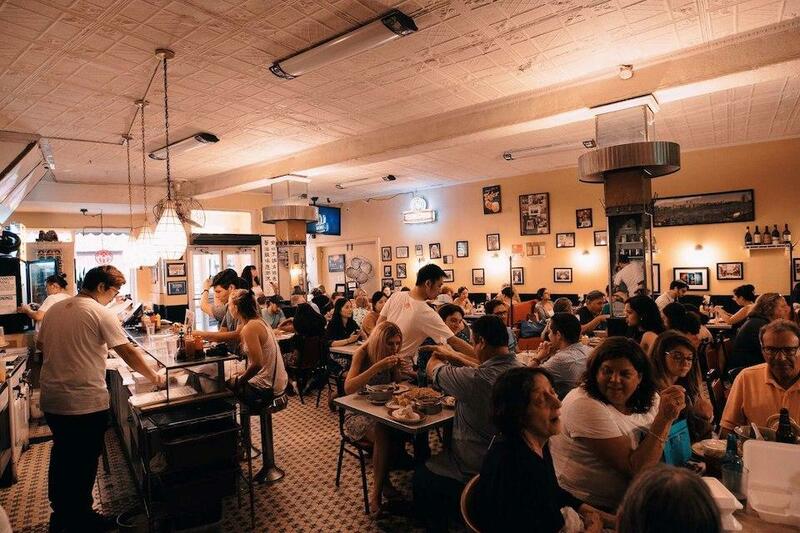 This spot is a Michelin selection and it has been awarded 1 black knife-and-fork symbol: according to the experts' opinion, this restaurant keeps quite cosy atmosphere. Nom Wah is one of my go-to dim sum spots in the city. Although smaller than the banquet hall restaurants like Jing Fong and Golden Unicorn, the service is always good and the food is consistently delicious and fresh. You mark a card and hand it in instead of pulling from carts. Their pork buns are different from other restaurants in that they're more like a bao zi (large steamed bun) vs a smaller bun with a stronger BBQ flavor, still very tasty though! The highlights are the pan-fried house dumplings, spare ribs, and stuffed eggplant. I heard a lot of hype about this place and it was all true. Amazing food. Authentic atmosphere. Reasonable prices. I strayed off of the usual Chinese food and ventured into bean curd wrapped shrimp, cabbage chicken dumplings, rare tea etc. It was all amazing. Full disclosure, I am not an expert at Dim Sum. This is a popular spot with vibrant energy. 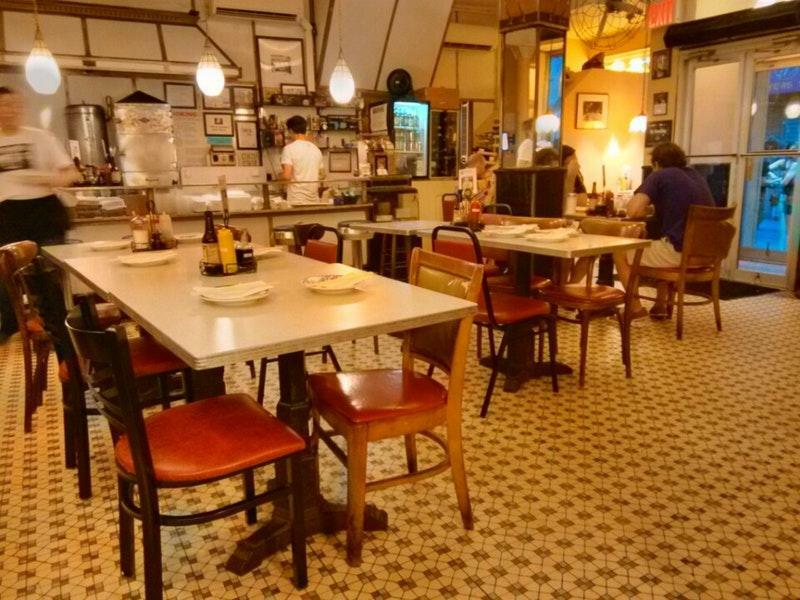 Usually if walking in, you will have to wait to get a table. I thought most of the dishes here that were tried were pretty good, but nothing really blew me away. The soup dumplings were lacking flavorful broth and fell apart pretty easily. Overall, was a little disappointed as this name generally carries some hype. Overall, the service wasnt bad and everything was fairly priced.